Before you start using it you should register on https://sendgrid.com and obtain API Key. You can do that by logging in to your SendGrid account, clicking on the Settings menu, clicking the API Keys submenu and then clicking the Create API Key button. To specify multiple recipients use comma-separated list of email addresses. 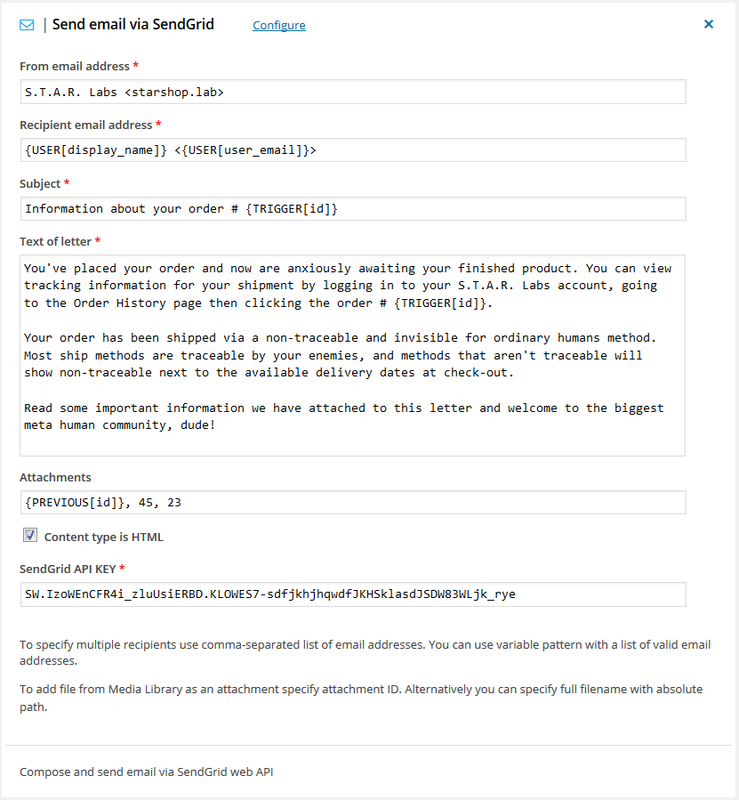 You can use variable pattern with a list of valid email addresses. To add file from Media Library as an attachment specify attachment ID. Alternatively you can specify full filename with absolute path. To specify multiple files use comma-separated list or variable pattern.